Today was another work day at Shagway Arts Barn. The barn is not going to have a regular arts store this season. Too much work, not enough volunteers, basically. But there will be live music, vendor events, and it's always available to rent. There are short, dog-friendly trails that can be walked any time. We are cleaning, getting rid of a lot of display rack type "furniture," etc. I went out to work on the trails. Am going to make a little map for people to use. 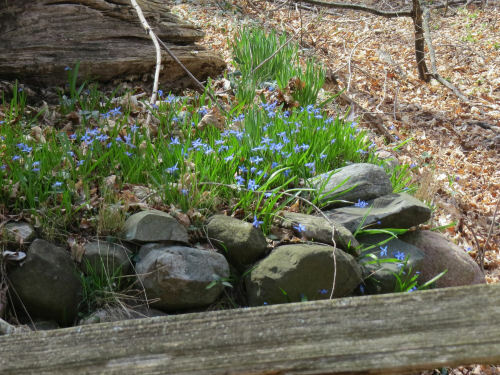 The entrance was cheery with Glory of the Snow (Chinodoxa) blooming among the rocks. How about a closer look? 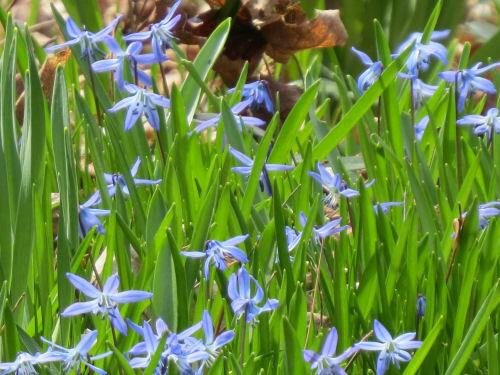 They are one of my favorites, with such a clear blue. This pond is just down the road. 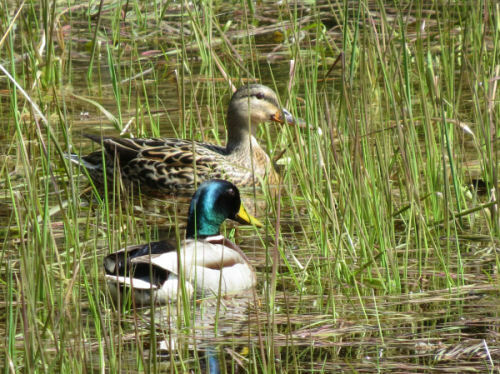 Mr. & Mrs. Mallard seemed to be looking for a nest site. And this is the first turtle of the year, and the first turtle rescue of the year. 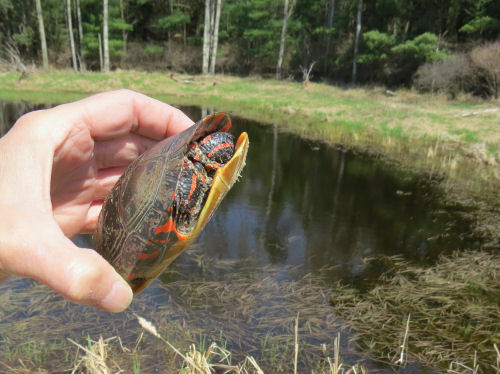 A painted turtle, too scared to take a peek. But s/he's now off the pavement. Kind of a little one. Nice to see it. In other news: I worked on North Country Quest in the morning, and on the Shagway Trail Map when I got home. Not much else to report. Today was a beautiful day, and although I did not go for a hike, I did do exactly what I wanted for my birthday. 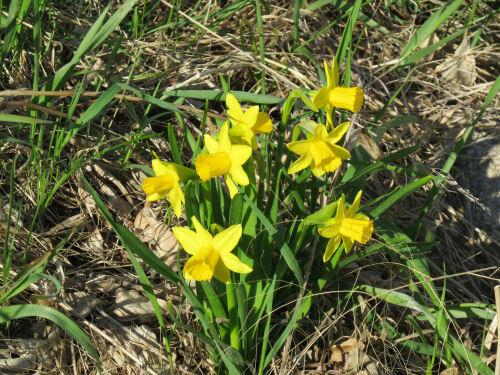 as did the first of the daffodils. 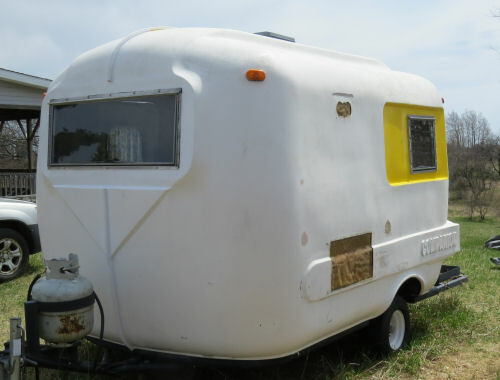 I worked on my next chapter in the morning, and spent most of the afternoon doing the last things to get the trailer ready for a (not finished but useable) road trip. 1. re-connecting the wires for all the lights. I had numbered each end, so that was just a matter of hooking them back together and then checking to be sure they all worked. They did. 2. getting the tires up to pressure. I have a tiny compressor that works, but it's slow. 3. the thing I actually did first, and was most important, bracing the interior. This trailer had most of the internal structure removed before I bought it. I took out almost all the rest, certainly everything in the front half where the door is. These trailers are really flexible. I already knew that I could have problems with the door popping open while towing it because it has done it before. I'd jury-rigged the door latch, but now I knew there could be a problem. Besides, you don't want it flexing like crazy while it's being towed. The big issue here is that this is going to be a fussy and tricky job to build in what is going to be my primary structural support. I just didn't think there was going to be time before next Wednesday, and I need to buy another tool to do it. I came up with an easy temporary solution. There are still a few 2x2s fiberglassed to the walls. I used a rope between a couple of nails to pull the sides inward (2 inches just with reasonable hand pressure), and temporarily bolted a board across the space. Obviously this will be in the way while we are using the inside, but it's easy to pull out and then reinstall for the drive home. 4. Take it for a test drive. I just went around a big country block and stopped to visit with a friend I haven't had time with for quite a while on the way. That was a lot of fun. She's an April birthday too, so we have often "celebrated" over a kitchen table together. 5. When I got home I wanted to finish one more job today because it was warm. I got an extra narrow strip of butyl caulking all the way around every window. I got better at it, to the point where some of it actually looks decent. Now I have to turn my primary attention to completing some other things that have to be done before we take the trailer to the North Country Trail Celebration next week. 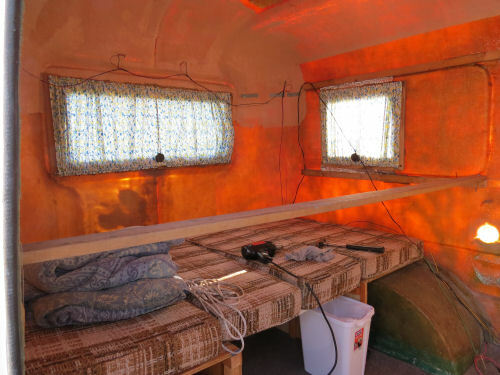 If anything else happens on the trailer in the next few days it will be to do a bit more fiberglassing to continue some of the repairs to the shell, and a couple of temporary interior tweaks to make it more convenient as a camper. Like a place to clamp my clamp-on light, for example. Well, it was one year ago that I quit my job and said I was going to focus on writing. I think I've done fairly well at that, for me, Ms. Lack-of-Focus. I'm behind on the date I hoped to have North Country Quest done, but that was way too ambitious a goal. I'm writing almost every day. I'm selling fewer books that I would like, but not too shabby. I have a semi-clean spot in my office (although the dining room is trashed as a sorting space). I'm back on track with working on the trailer. 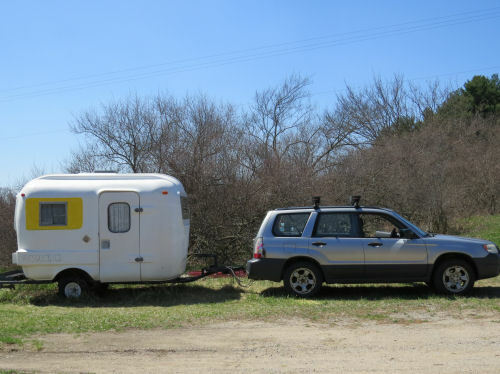 My health is still really great, and I'm not anticipating any major problems in the near future, but none of us is getting any younger, and I'd like to get the trailer on the road while I'm in good enough shape to enjoy it. Thanks for the birthday wishes! And I had cake last night at writers' group (and brought some home for today), and Omer bought me some potato chips (a real treat). So I ate too much, and completed something I really wanted to accomplish before the end of the month, and saw a friend. Life is good. I actually got the windows all back in before the first test in last night's rain. It rained hard, and I am amazed to be able to tell you that only one window has a small leak, and I think that can be easily remedied. Here are the supplies I used to put them back in, sort of. 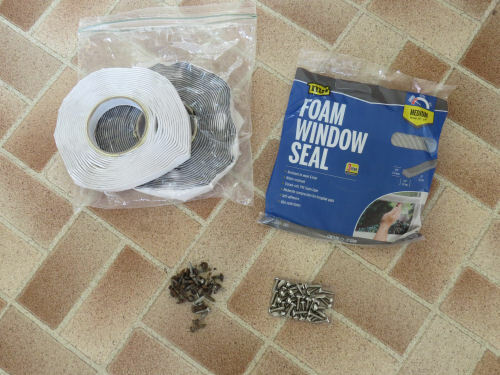 You definitely need butyl sealing tape/putty whatever you want to call it. It comes in a rolled up flat strip with paper on one side. (I am sorry to tell you that I ended up with one roll of black and one white. All white would have been better, but I am making it work.) I bought enough stainless steel screws to replace all the ones that were regular steel. They are just pan head, size 10. I also bought this foam insulating tape thinking I'd use it in the way some previous owner had along the screw channels. More on that later. 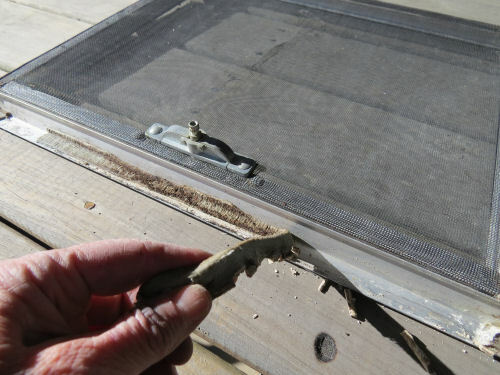 When I took the old butyl off the windows I learned that there were two layers on both the tops and bottoms. I checked how much I had purchased, and there was enough, so I repeated that application. 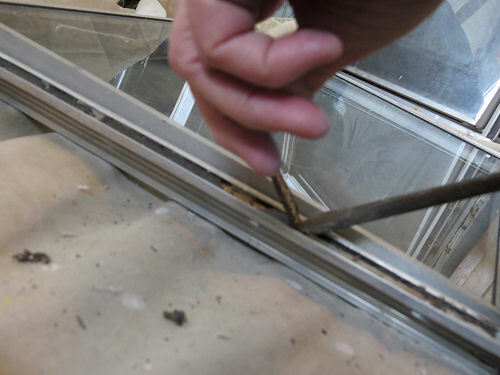 Make sure you know which window goes in which hole before you put the sealer on. 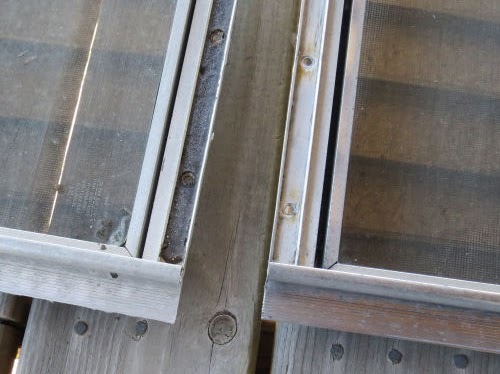 The likelihood that the screw holes will match up interchangeably is zero, and once you put the window in with the putty in place you don't want to have to move it. 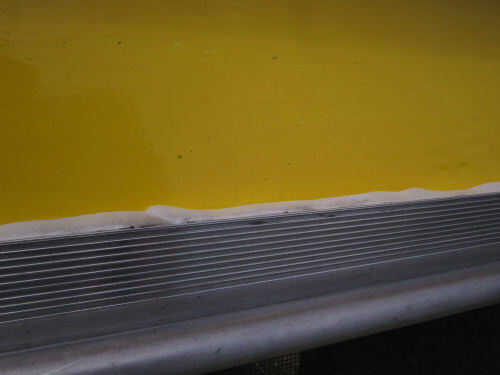 You want to put the butyl strips on in a certain configuration. 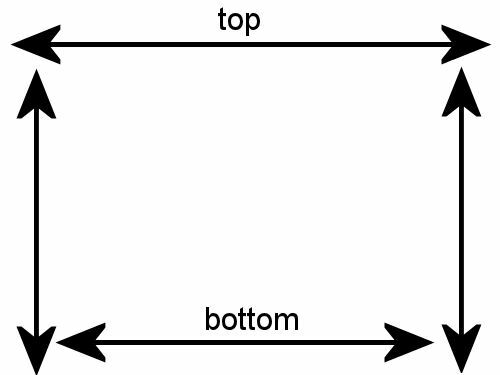 The top strip should go all the way across. The sides should extend from that down to the bottom of the frame, and the bottom piece is between the two side strips. This minimizes the easy places for water to channel. The butyl is weird stuff. It's a lot like working with cool but flexible tar. You don't want to let it touch anything except where you want it because it sticks instantly. Especially, don't let it touch itself, or you'll never get it separated. Don't pull it off the backing paper. Just run the strip with the backing paper along the place you want to put it. I got somewhat better at this by the third window. 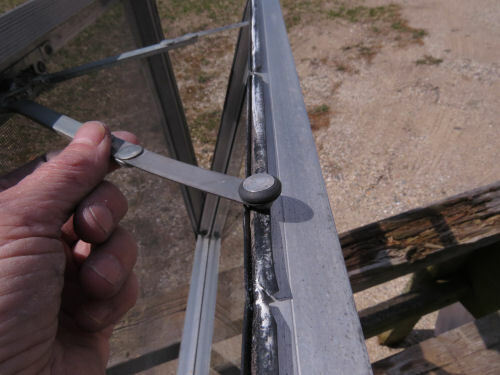 Remember to slip the bottom of the window in the opening first so you don't break off the knob. After I got the windows in and screwed in place, this was the situation along the edges. The butyl hadn't pushed all the way out to the edge of the frame. I figured this was a perfect way for water to get in and cause leaks. 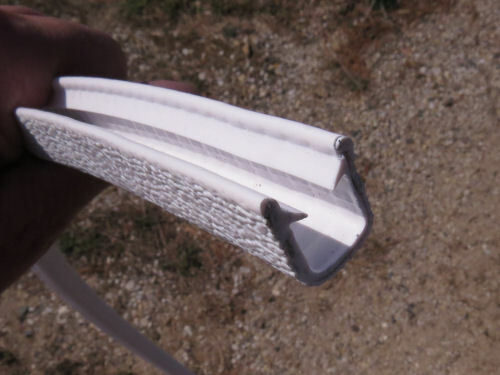 So, what I did was to cut a short enough strip of butyl to handle easily, about 8 inches. Then while it was still on the backing paper, I cut it in thirds the long way. That was a perfect size to run along the edge of the frame. Where there was a deeper void, I used another little piece and filled behind it. 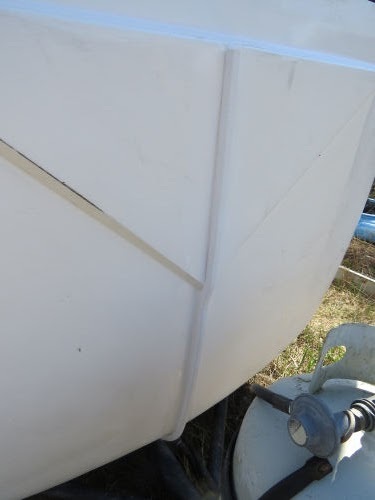 Then I could use my finger to form the butyl and make sure it was tight against the trailer and the frame. I wasn't liking that it didn't look nice and smooth like glazing compound on a window that you can form with a tool, but you know what? You can't tell at all if you aren't staring right at the edge of the window. I ran out of energy before I got all the way around all four windows to finish them this way, but I did all the top edges. I think the one window that leaked a little is from one of the sides. Anyway, on the next warm day, I'll finish going all the way around. 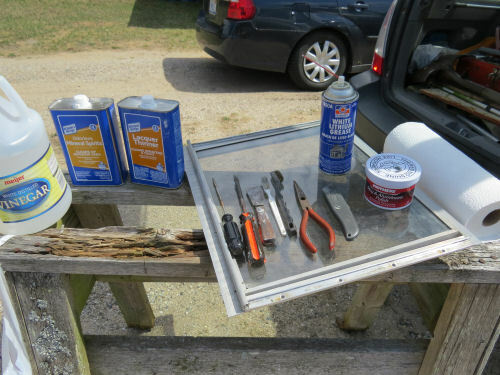 So, the original aluminum windows are back in my 1985 Companion Travel Trailer. And that foam tape? I put a strip of it under the screws on one window. It twisted with the screws and just looks ugly, and probably isn't doing much. On another window, I put a strip of it over the screws. That might be OK. I have been told there are actually covers you can buy for those screw channels, but I haven't found them yet. So this work was actually done yesterday. Today, I spent 3 hours ripping out the last of the copper tubing and piping that was associated with the propane I'm not using, then cleaning out the inside and putting it back together enough so we can use it next week. In other news: I wrote in the morning, had bell choir and then writers' group tonight. Busy day! This is going to be a long post. There's no way around it, this was a long job. It was not very rewarding except for the fact that it saved a lot of money. 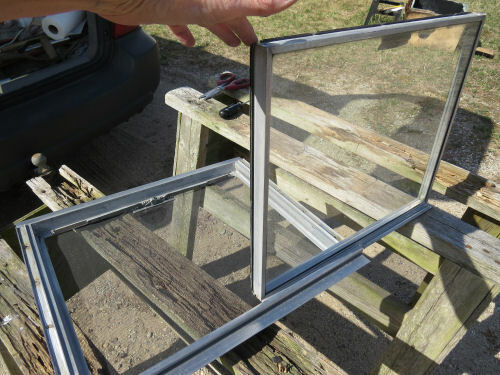 I decided I couldn't afford replacement windows, so I cleaned and refurbished the old square aluminum frame ones. 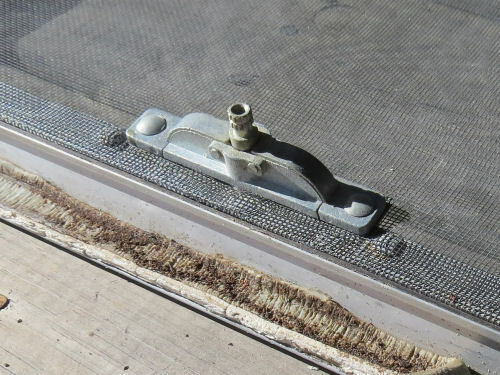 These are the kind of windows that have a turn knob at the bottom that ratchets out a double bracket and pushes the window pane out at an angle. One real advantage of this kind is that you can have them open in the rain. Let me be clear. My intention was not to make these windows look somehow like chrome. I just wanted to get all the old gunk off them, clean the years of dirt off, do necessary repairs, and hopefully not damage them in the process of trying to fix them. This is the blow by blow of what I did, in case you have found this post and want to do it too. I've seen nothing else on this topic. 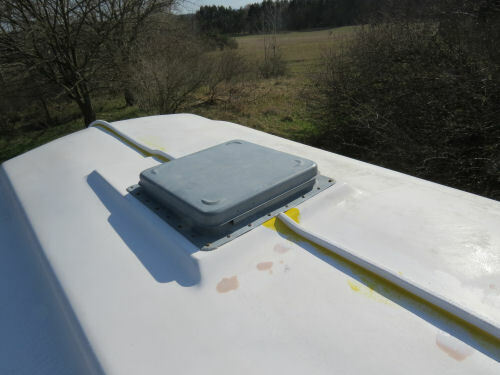 First of all, when you are removing the windows from the trailer, it's better to pull the top out first and then you can lift the window enough so you don't catch the knob on the window opening and break it. I broke one. The good news is they are easily available and simple to replace. 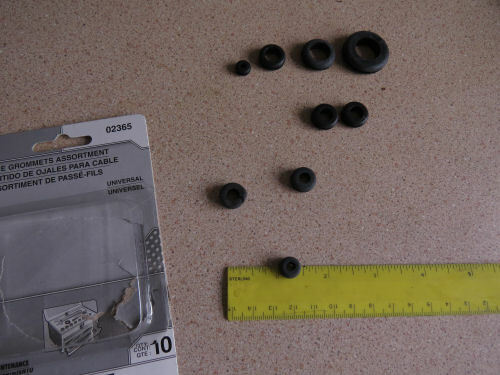 Second, I learned (while doing the third window- good grief) that these come apart making the job much easier! The two parts slide along the top hinge and can be separated very easily. Here are most of the tools I used: screwdrivers, putty knife, box cutter, toothbrush, small wire brush, needle-nosed pliers, razor blade. a. The first question was whether I needed to replace any of the screens. I was thinking about it, but then I realized that the base plate for the knob is riveted through the screen. Ugh. The only real damage to the screens was two tiny holes, which I covered with stick-on screen patch. b. 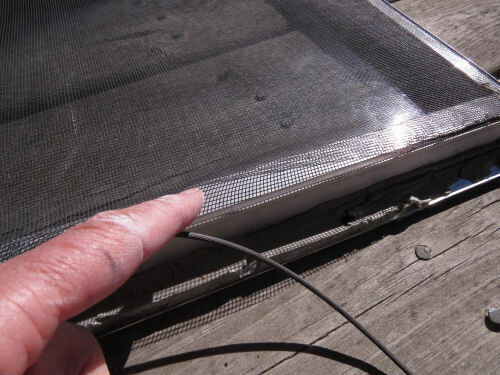 In several places, the screen had been pulled out of the channel, probably when something got pushed against it. But when I pulled it tight and put the spline back in the groove it was fine. Note- this is very narrow spline which was not available at Lowes. I ended up replacing a short section with some twine, which should be fine. I wasn't going to order a roll of it for six inches. c. General cleaning- this is plastic screening, and I just gave it a good brushing and a wipe. a. Whoever last did these windows ran a strip of foam insulation tape in the channel where the screws go. This was a beast to remove. I scraped lots of it out with a screwdriver. This picture shows a large screwdriver, but it turned out that a small one worked best to get into the recesses of the channel. The only solvent that even remotely removed the adhesive residue was lacquer thinner. b. 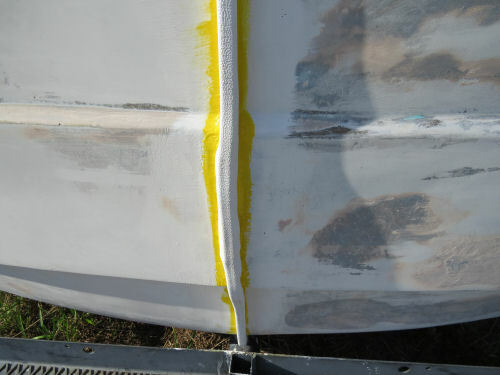 The old butyl tape pulled off pretty cleanly without tools, although giving the area a final scrape with the putty knife is a good idea. Mineral spirits removes the last of the residue. c. These windows had been sealed around the outer edges with silicone. Not a good choice on fiberglass anyway, and now I had to remove it. It was a dog. Scrape as much as you can. The putty knife and box cutter and wire brush worked best. The final bits will come off with mineral spirits if you let it sit for a few minutes and then scrape or brush again. P.S. It rolls into little pills with either static electricity or enough gumminess to stick to everything. Curses on anyone who uses silicone on these trailers! ISSUE 3- general cleaning- This doesn't really need a picture. There was a lot of years of dirt in everything. 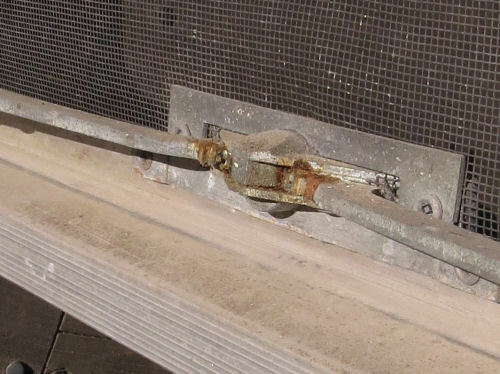 The channels that hold the brackets to open and close the windows were full of gunk and dead bugs. There were spider nests and dirt and grass chaff along the top edges. Brush, wipe, vaccum... whatever it takes to clean this stuff out. ISSUE 4- the gears for the window opening mechanism. a. As you can see they are badly corroded. Must be some non-aluminum parts in there. Everything worked, but not smoothly. b. I sprayed them with white lithium grease and worked them a few times, then wiped off the excess. This is before wiping. b. I used Mother's Mag and Aluminum Polish because I was able to get it locally, and it wasn't too expensive. It doesn't really need a picture. Use a clean soft rag (I cut up an old terrycloth towel). Wipe on some of the polish and rub. Black tarnish will begin to come off of the aluminum. Keep rubbing until no more black comes off. It only takes a couple of years. The polish claims that it provides a protective coat. I did not work hard to make these gleam like chrome. In fact, I'm pretty sure I didn't do as good a job on window four as I did on window one. ISSUE 6- clean the glass. a. Scrape off any old decals or whatever with the razor blade, and acetone takes off the adhesive. 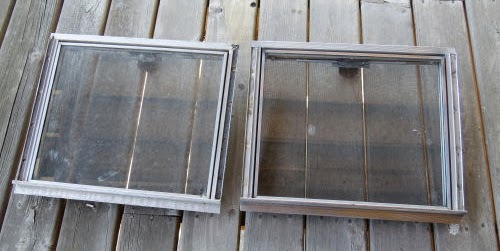 Here is a cleaned window and frame on the right, and a dirty one on the left. A close up of the corners side by side. If you can't see any difference, don't tell me. Now, there's one more thing to talk about, and it's a really important one. ISSUE 7- rollers at the end of the opening brackets. These come from the factory with nylon roller wheels that sit in the channel at the bottom of the window. 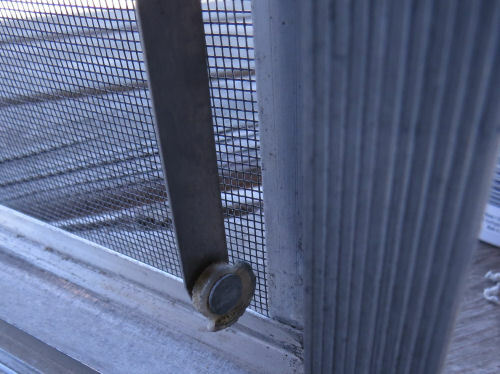 These allow those brackets to slide smoothly as the knob is turned to open and close the windows. But the nylon rollers have disintegrated. You can see that this one is broken. They were all broken. I easily broke them off completely with the needle-nosed pliers. But there has to be something to hold those arms in the channel. You can push the window open if the arms aren't held in place, but you can't pull the window closed. 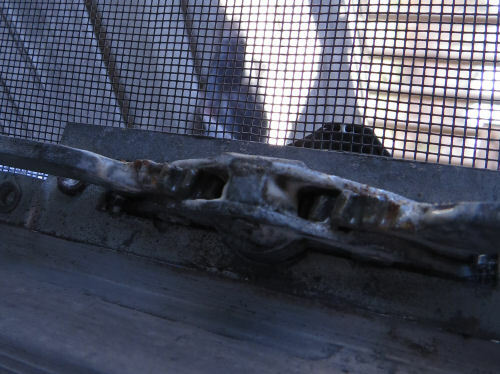 Also, the window can be caught by a breeze and lifted if the arms aren't constrained in the channels. What to do!? The parts are all riveted, and they are also kind of wimpy. I could envision lots of broken or bent pieces if I started messing with taking them apart. I went hunting for a way to replace the nylon roller with something that I could get over the head of the rivet, but would still lock into the channel. The answer is a 7/16 O-ring with a wide circumference. The closest I could find locally was some rubber wire grommets, but the idea does work, although these are a little thick. The 1/2 inch ones were too big. They fit, but got chewed up when I opened the window. I've ordered some actual O-rings in a couple of sizes, and when they come and I see which one works best I'll add it here with the source. I did NOT have to order 500 of each just to get 8. I was able to snap this back into the channel and it works OK. As I said, it's a little thick, so I'm just being a little careful when I open and close the window so it doesn't catch and bend the arm. So, that's the low down on how this project went. It took over 2 hours to do each window, and I was pretty sick of it all before I finished. But it worked. 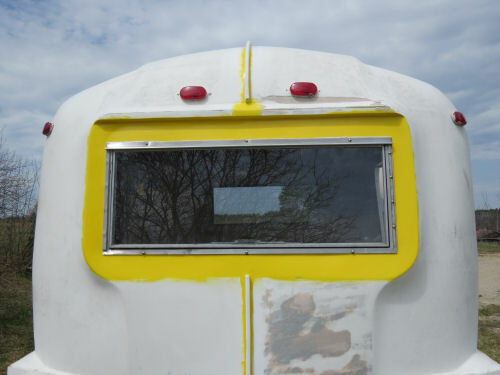 In fact, the windows are back in the trailer. It's supposed to rain tonight, so that will be the first test. Tomorrow, I'll talk about the installation. Most of my work time today was again filled with window work, but I'm going to wait yet one more day to tell you about that. What I did manage to finish today, yes FINISH, was to put on the Trim Loc. 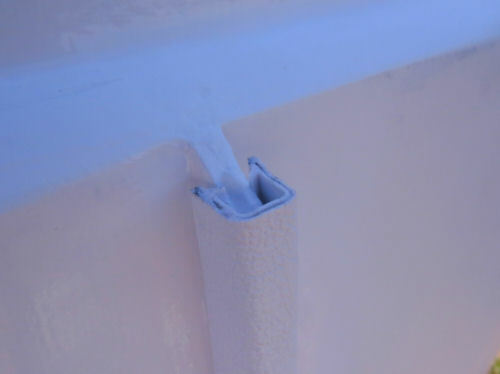 A trailer friend just replaced his Trim Loc, and he said he had to glue down the ends because it wanted to curl outward. It comes in a roll that is curved the opposite way from how it needs to conform to the trailer. So a few days ago, I spread it out the length of the living room plus, and weighted it down. Turns out this really was the ticket! I didn't have any trouble with it wanting to curl outward. We just had to walk around it for a few days. Here's what Trim Lock looks like in cross section. 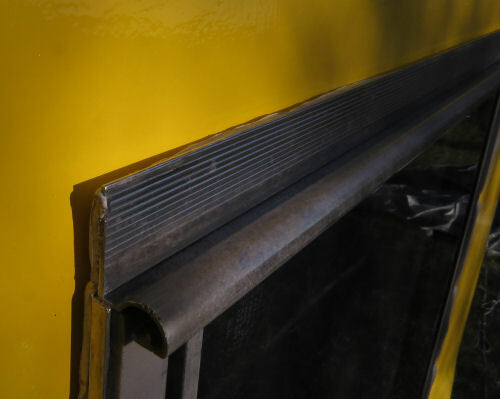 You can get it in varying widths and shapes, but basically it's vinyl over a lightweight aluminum core with those little grabber rails to help it stay in place. 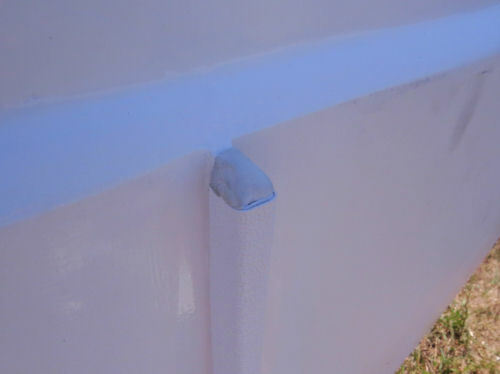 It's both decorative and protective for the center seam of the trailer. It is somewhat soft and cuts easily. Here's the front strip below the window. Looks just like it was meant to be there, right? That's correct! I was able to put most of it on just by hand, but used a rubber mallet on a few stubborn spots. That's good. You want it to fit tight. 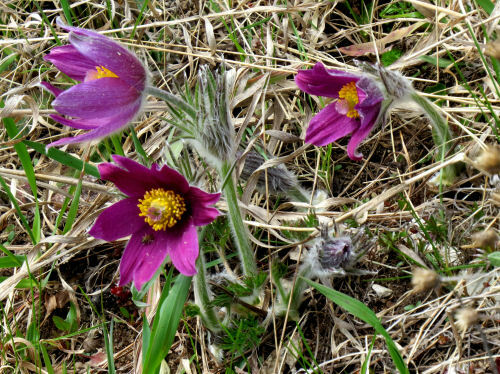 The cut ends, of course, are open. So I filled each end with a tiny bit of the butyl window sealing tape. I used about an inch at each end. Make sure your hands are really clean if you are using white butyl! There isn't that much color difference in real life, but the light reflected off the surfaces differently. Here's the seam across the roof. And here's the lower back seam. This is the one that was such a big problem to repair. You can read about that in the link below if you want, but I had to completely rebuild the edges of the seam right where that "bump" in the surface is. I wasn't able to keep it nice and even and narrow, but I knew the Trim Loc would fit, but probably not look so nice. Here's how that came out. It's OK. I can live with this much better than how it was previously, knowing there was a big crack where water could get in. About 3 1/2 windows are cleaned up. I actually did put one back in. Not good. I'm sure it's going to leak. I think the solution is easy, though. It needs more of the butyl sealing tape. I'll have to wait till I get all the windows in to see how much extra I have right now. Probably enough to run an extra piece along the top edges. Then I'll have to order more. Can't get it locally. I think I'm still safe until tomorrow afternoon before it rains. Hopefully, I can get all the windows in by then. Had to quit for tonight because I HAVE to write my newspaper column yet tonight, and I'm already pretty tired. Worked about 5 hours on the trailer today.